It was a difficult decision for Bode Wilde to make at first on which sport he should continue with but in the end, hockey was the ultimate winner. “I started skating when I was three and started playing hockey around four years old,” explained Wilde. “Everything about the sport was great and I really loved it. Of course, Wilde can blame his dad for some of his passion in hockey. Wilde, who is a 6-foot-2, 193-pound defenseman, didn’t always play at the blue line. 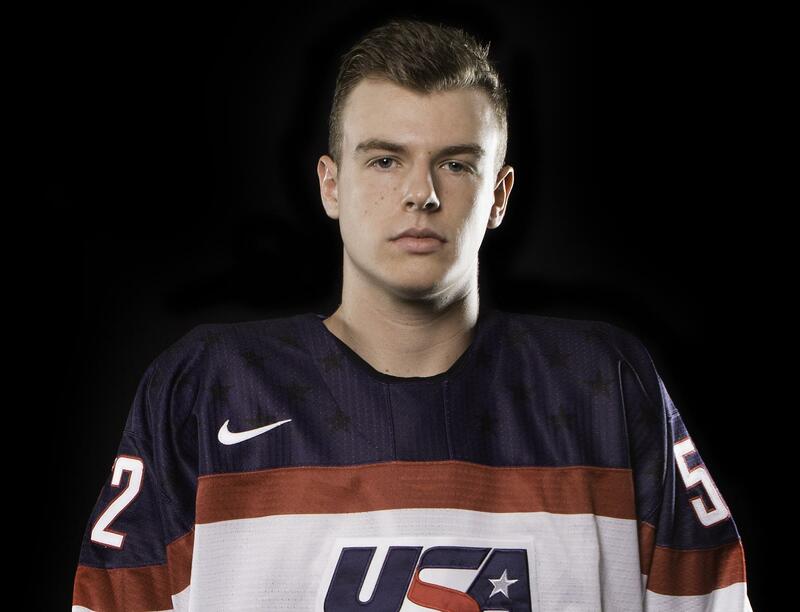 He recalled a funny story about how he ended up back at D.
Wilde had an interesting trek to the U.S. National Team Development Program, including living with one billet family for three years. He played for HoneyBaked Hockey Club in Michigan for two years before playing with the Chicago Mission just one year ago. 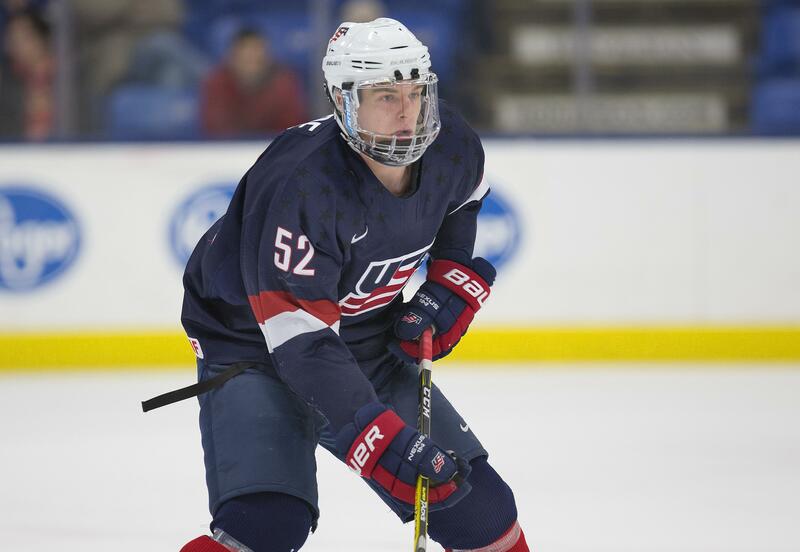 So, when he earned the call to the NTDP, he happily accepted the offer. Of course, the transition was difficult at times but it took him a short while to realize what he needs to do to have success both on and off the ice. There is one valuable lesson that Wilde has taken away from this year. It’s something small that he tries to live every day. Wilde, who has tallied eight goals and 19 points in 49 games this season, says he has learned plenty about himself over the course of this season. He also understands what the team needs to do to have success for its final few games. “I have a lot more in my tank,” he explained on his learning curve. “The guys that come into the program have had challenges in youth hockey and many were the top guys on their teams. Even if you are uncomfortable, you know how much you can do and you push yourself past your limit. Wilde has a few favorite moments from this year and one thing in particular stands out to him and helps get him pumped for the game. He enjoyed playing in all three international tournaments this season – the Under-17 World Hockey Challenge in Ontario, the Four Nations in Switzerland and the Five Nations in the Czech Republic. Nothing means more to him than wearing the colors of his country.